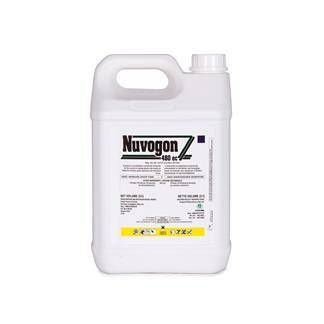 L6704 ACT 36/1947/ HERBICIDE GROUP CODE O NUVOGON 480 EC is a systemic emulsifiable concentrate herbicide for the control of woody plants and weeds as listed for forestry, grass pastures and industrial areas. The active ingredient in NUVOGON 480 EC Triclopyr is an auxin mimic or synthetic auxin. This type of herbicide kills the target weed by mimicking the plant growth hormone auxin (indole acetic acid), and when administered at effective doses, causes uncontrolled and disorganized plant growth that leads to plant death. Degradation occurs primarily through microbial metabolism, but photolysis and hydrolysis can be important as well. The average half-life of triclopyr acid in soils is 30 days. 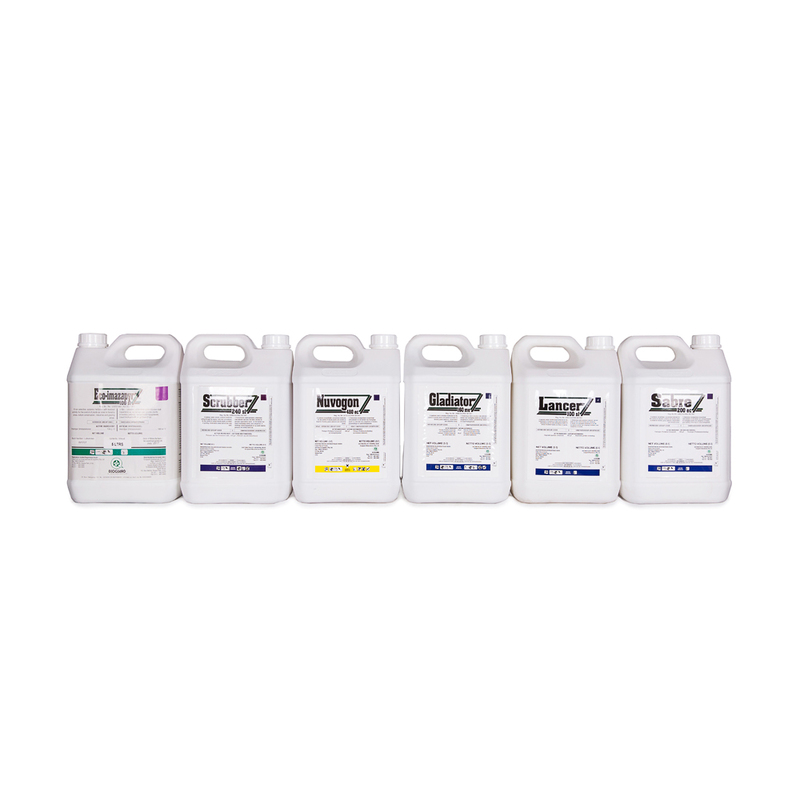 Offsite movement through surface or subsurface runoff is a possibility with triclopyr acid, as it is relatively persistent and has only moderate rates of adsorption to soil particles. 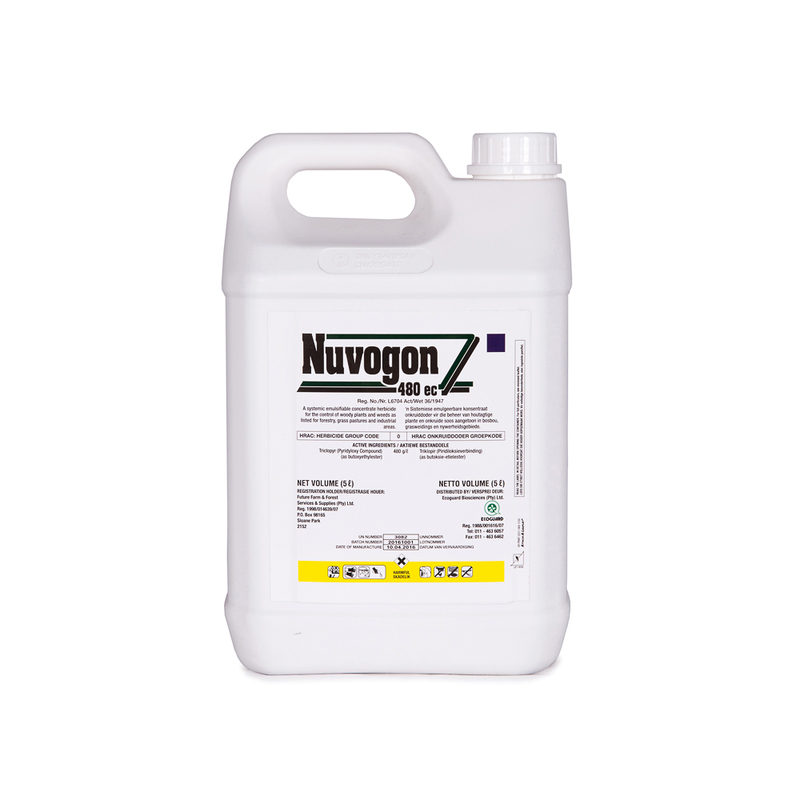 NUVOGON 480 EC is particularly effective at controlling woody species with cut-stump or basal bark treatments as well as against root or stem-sprouting species because NUVOGON 480 EC remains persistent in plants until they die. 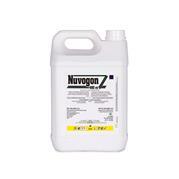 NUVOGON 480 EC can be applied as a foliar, basal or cut stump application as well as mixed in water or diesel. Making this a truly versatile product. 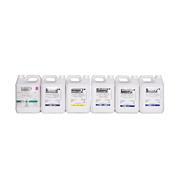 Foliar applications should only be targeted at actively growing plants only. However, cut stump and basal applications with a petroleum-based solvent can occur throughout the year providing there is sufficient soil moisture.